Register as an individual or a team for this 4-person scramble. 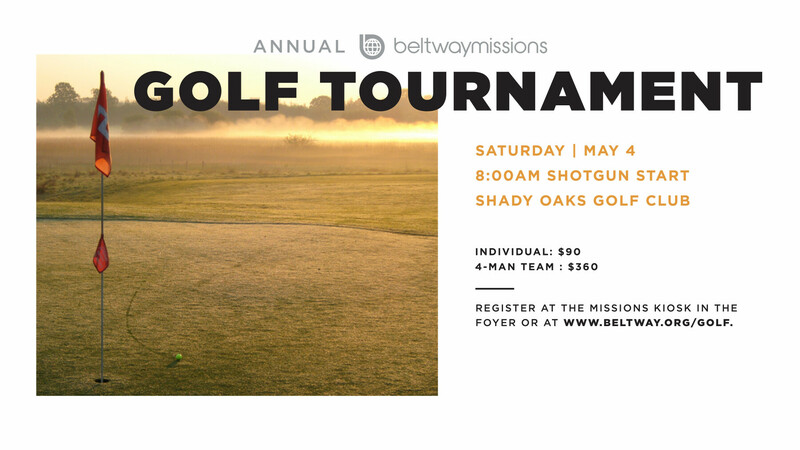 Entry fees (lunch included): $90/individual, $360/team. Prizes awarded for top 3 teams. Proceeds benefit Beltway Mission teams.